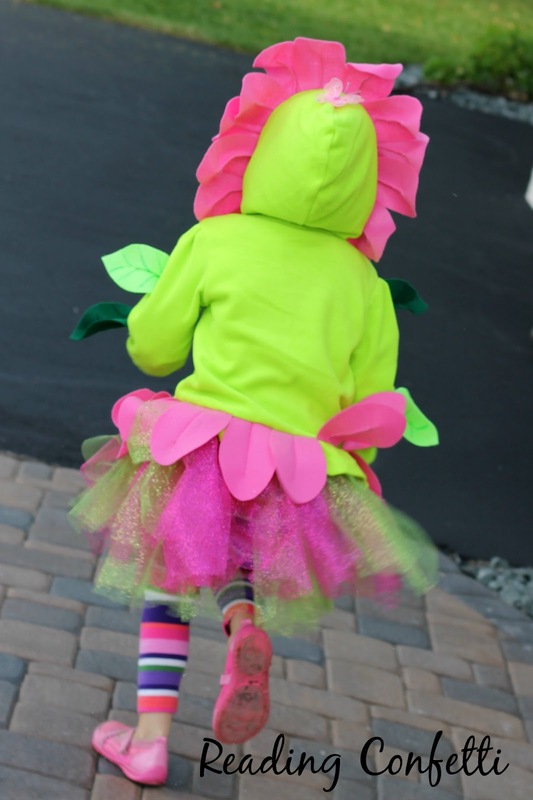 This cute flower costume is easy to make from a hooded sweatshirt and it's perfect for trick-or-treating this Halloween! I am all for store-bought costumes, but around here trick-or-treating is usually coooold. It seems like most of the costumes made for girls are skimpy. 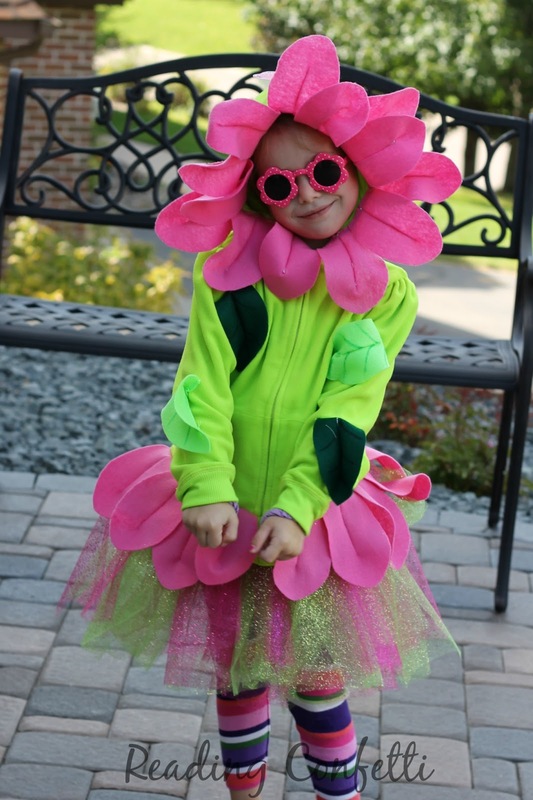 This year, my daughter wanted to be a flower for Halloween and I wanted her to be warm while she was trick-or-treating. I couldn't find anything in the stores so I decided to make my own. This came in under $20 even with having to buy the sweatshirt. 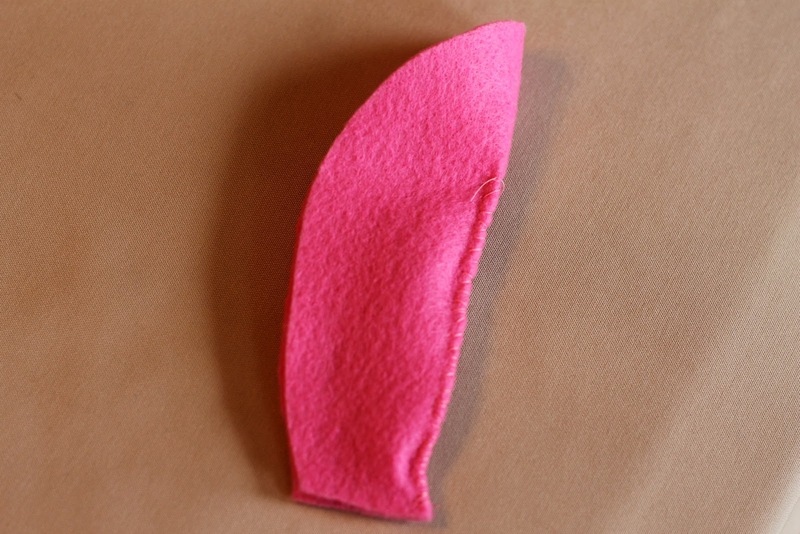 I started by cutting petal shapes from the felt. 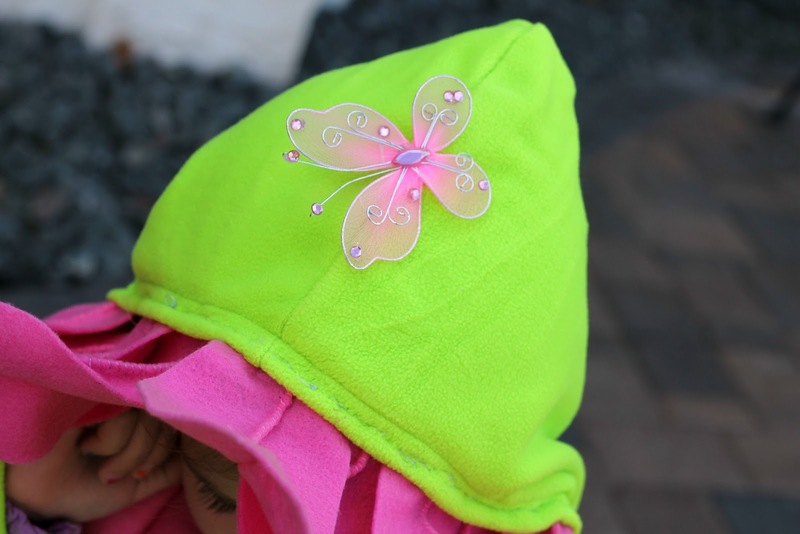 For a size 5T sweatshirt I used about 14 petals. I folded the petals in half and sewed in a double thickness of floral wire. The wire was about 3/4 of the height of the petal. 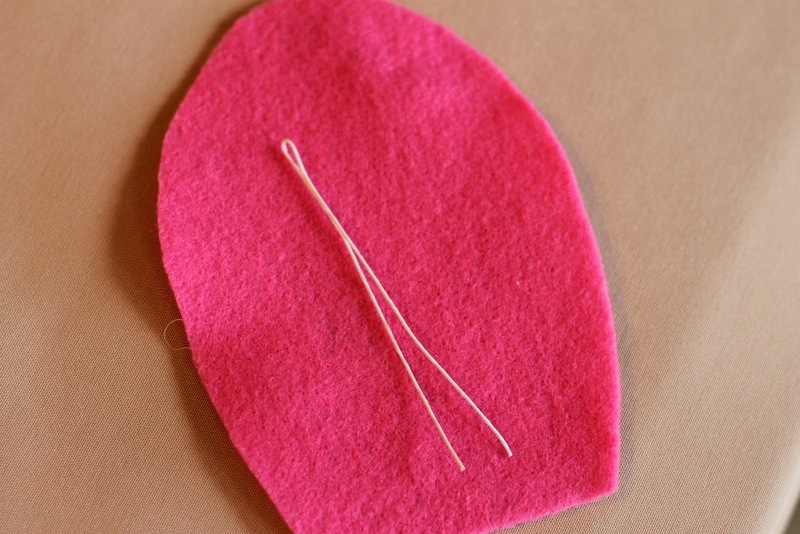 The wire inside helps support the petals and keeps them from flopping over. 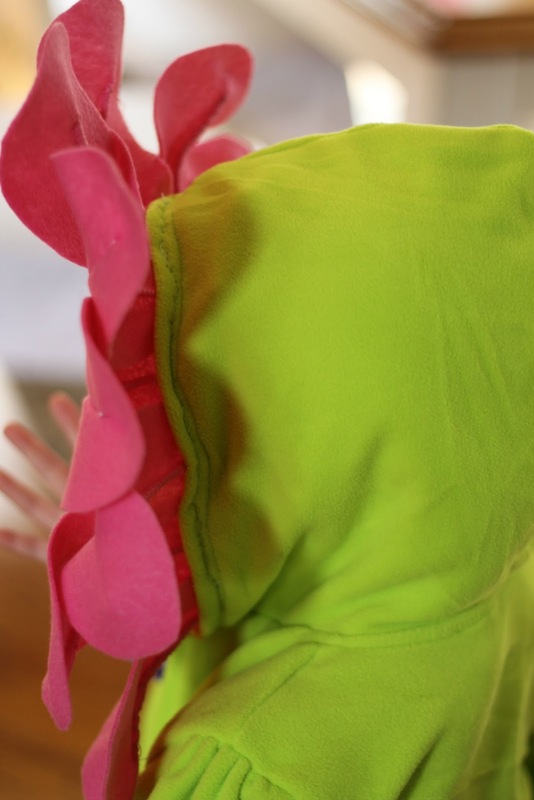 I sewed them into the inner side of the hood, overlapping the petals. 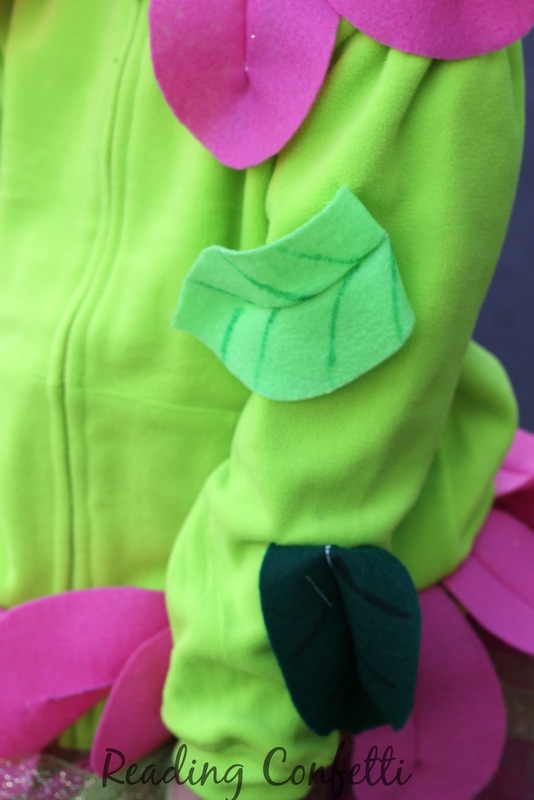 Using the same technique, I made some leaves and sewed them onto the sleeves of the sweatshirt. The veins in each leaf are just drawn on with permanent marker. You could certainly stop there, but my little trick-or-treater is a tough customer. She wanted petals sewn around the waist (I left the floral wire out of those) and a tutu. 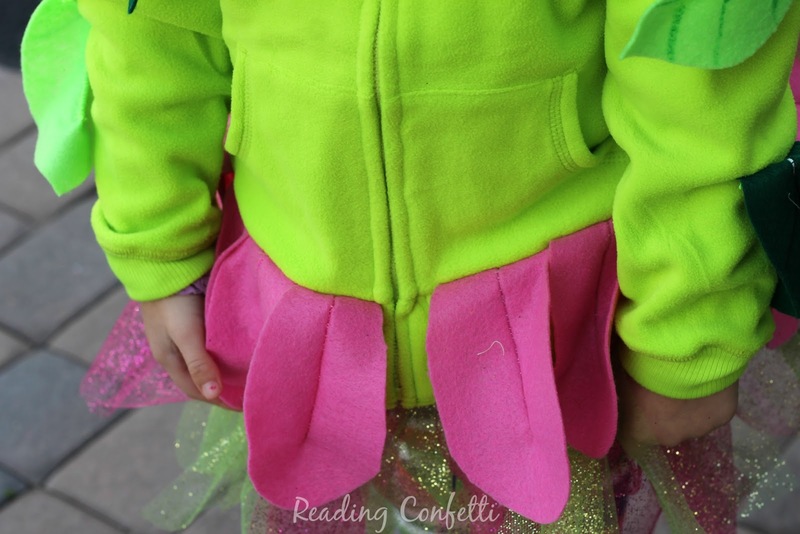 I used this tutorial to make the tutu. We also added a butterfly perched on her head. 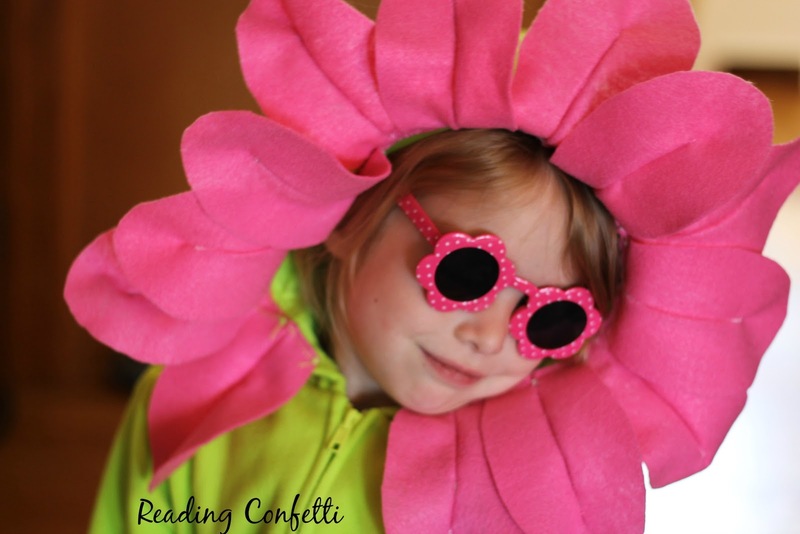 We paired them with some striped leggings and she's very happy with her flower costume*. It even looks good from the back! *Although not happy enough to actually wear it trick-or-treating. She wore her Princess Anna dress instead. I'm totally not bitter about it though. That turned out so cute! Good job! Fabulous! What brand of sweatshirt did you use? Where did you find it? Thanks! It's Garanimals. I found it at Walmart.